The text and illustrations of this excellent book have been updated and refined for the 2nd Edition. Designed to introduce the reader to the most important physiological principles and concepts in veterinary medicine, the book also presents the physiopathology and clinical problem-solving techniques necessary for a complete understanding of the relationship between physiology and the practice of veterinary medicine. The book's user-friendly format features a clear and easily understandable writing style, as well as practice questions and answers, and a brief bibliography at the end of each chapter. 1. Textbook of Veterinary Physiology Cunningham, James G.
2. 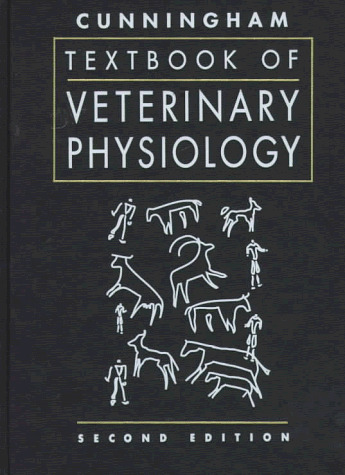 Textbook of Veterinary Physiology [Jan 15, 1997] Cunningham, James G.
5. Textbook of Veterinary Physiology Cunningham, James G.